As wonderful as it can be to leave home behind for a few days and explore a new city, it’s not always so nice to leave your pets behind. 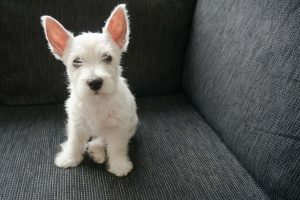 Maybe you just can’t bear to be on the road without them, or they need some special care that you’d feel better providing yourself than entrusting to a pet sitter. Maybe you and your prized pooch are on the way to a competition, or you just know your family would love to see your furry friend again. And while service animals should always be accomodated, it can be nice to know that a hotel is already familiar with the various needs of pets and their owners than to take your chances somewhere else. 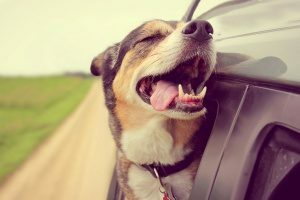 Whatever the reason, there are plenty of hotels in the Northern Virginia area that are ready to welcome you and your pet as you travel. Here’s a collection of five pet friendly hotels in Northern Virginia (in no particular order) that have plenty of amenities and attractions nearby and are happy to have you and your pet pay them a visit. Located 20 minutes from Dulles International Airport and near George Mason University, the Fairfax Marriott at Fair Oaks is a great choice if you’re attending on-campus events like graduation or a performance at Eagle Bank Arena. The hotel is also near the Fair Oaks Mall, which offers dozens of shopping opportunities. The Fairfax town center is a short walk away, and there are plenty of restaurants and parks to enjoy with your dog both in the town center and along the walk there. In addition to these local sites, the hotel offers free parking, an onsite fitness center and restaurant, and six suites. Guests may bring up to two small pets who have a combined weight of no more than 40 pounds with them during their stay at the Fairfax Marriott. The newly-remodeled Candlewood Suites are located less than one mile from Fort Belvoir in Alexandria. The hotel, which contains 57 suites, gives guests the ultimate comfort, with each suite consisting of a bedroom, living room, and kitchen complete with a stove, dishwasher, cookware, and more. The hotel also contains a fitness center and convenience store. Though the hotel is located in a suburban area, guests have easy access to the historic charm of Old Town Alexandria and the excitement of Washington D.C. Other attractions include the Fort Belvoir Golf Club, the National Museum of the Marine Corps, and Mount Vernon. Candlewood Suites is happy to have up to two furry guests per room who weigh no more than 75 pounds for an additional fee. This hotel, located in Falls Church, Va., is just one mile away from the Dunn Loring D.C. metro station and also easily accessible from I-495 and Route 50. Its extended-stay suites offer separate living, sleeping, and dining areas, which offer a great opportunity for guests to entertain friends and make themselves as comfortable as they would be at home. To make things even easier, all guests receive a complimentary hot breakfast buffet. Other facilities include a pool, jacuzzi, and fitness center. The Residence Inn is located near Jefferson’s Park golf course and the Wolf Trap Center for Performing Arts, giving guests easily-accessible entertainment options. This hotel is the perfect option for travelers with less-common pets, as the hotel welcomes dogs, cats, fish, and birds for an additional fee. This luxury hotel is a dream for travelers visiting the Reston, Va. area. Located in the town’s center, the Hyatt Regency Reston offers a complimentary shuttle to Dulles Airport, an indoor pool, spas, saunas, a restaurant and bar, and an onsite health club. Each room contains a signature Hyatt Grand Bed and an oversized desk for maximum comfort and productivity. Visitors who really want to splurge on themselves and their best friend can spring for a Regency Club room, which gives them access to a private lounge on the 15th floor that serves a continental breakfast, midday snacks, pre-dinner hors d’oeuvres, and dessert each day. For guests who manage to tear themselves away from the hotel’s lush surroundings, Reston’s town center offers dozens of shops and restaurants to explore, and a metro station with access to Washington D.C. is just minutes away. The hotel accepts up to two canine guests for an additional fee. This all-suites hotel is situated about one mile away from a Washington D.C. metro station and is also easily accessible via the George Washington Parkway. Staybridge Suites is ideal for long-term stays. It offers onsite laundry facilities, a fitness center, a pool, and a business center for guests to use and provides a complimentary shuttle service that can take you anywhere within five miles of the hotel. Guests also receive a free breakfast buffet during each morning of their stay. Outside of the hotel, guests can shop at the Tysons Corner Center shopping outlets or visit Great Falls National Park for a breath of fresh air and a brisk hike with their dogs among the trails, cliffs, and river views. The hotel is great for owners of larger-breed dogs, as it welcomes pets that weigh up to 80 pounds with proper documentation that all medical vaccinations are up to date. Traveling with your pet can be a rewarding and stress-free experience with a little bit of prior planning. Finding the perfect, pet-friendly hotel is the first step. 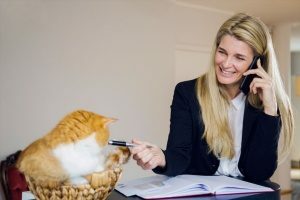 Once you’ve made your reservation, make sure to call the hotel to let them know that you’ll be accompanied by a pet or two. Many hotels appreciate (and some require) the advance notice, and the staff can give you more information about the hotel’s specific rules — like keeping your pet leashed or in a carrier while you’re in public hotel areas together — and pet-friendly attractions nearby. This will make your travels as smooth as possible, and your pet will thank you for the easy trip.